Successfully saved Korean Tempeh Bowls with Broccoli, Brown Rice, and Sriracha Mayo to your Calendar. You can also save the ingredients to your Grocery List. 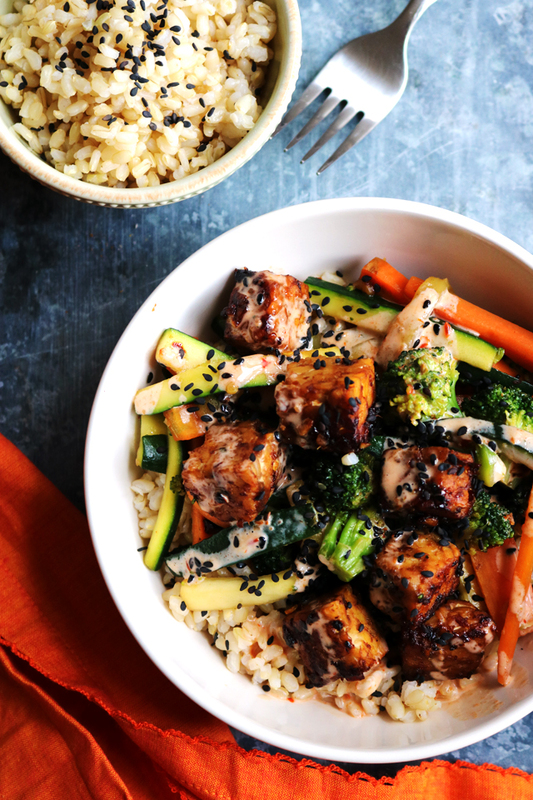 Korean tempeh bowls with broccoli and brown rice are savory and spicy. A quick and easy meal that is perfect for weekday lunches or weeknight dinners.